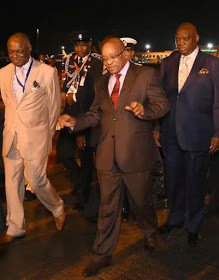 Despite Warnings from the National Association of Nigerian Students, (NANS) to steer clear from Nigeria for The Inauguration Ceremony, South Africa’s President, Jacob Zuma has arrived Nigeria for the event. Many Dignitaries, Family Members and Nigerians have started trooping in to the venue, Eagles Square, Abuja for the inauguration ceremony. 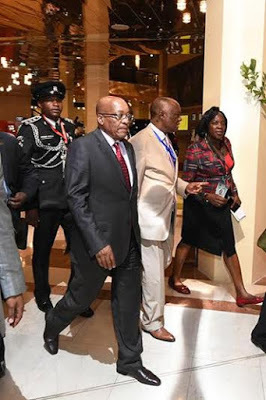 Zimbabwe President, Robert Mugabe has also arrived the venue. According to Punch, Guests are presented with packs containing programme of events, food and N750 MTN recharge cards. Click Here For LIVE UPDATES From The Inauguration Ceremony as it Unfolds.